Forty-one years ago, on May 10, 1975, an assassin’s bullets robbed the world of the brilliance, creativity and unwavering socialist commitment of Roque Dalton. Salvadorian and revolutionary youth the world over stand to learn a great deal from this unsung hero and his political and literary contributions to the revolutionary transformation of society. Roque was born into a society with deep class divisions. He came of age against a backdrop of struggle and repression. The native Kakawira, Pipil and Lenca peoples continued to organize for the liberation of their land and return to their way of life before colonization. Inspired by the 1917 Soviet Revolution, the ideas of communism had also taken root across the rural and urban landscape of El Salvador. To the tiny oligarchy, the indigenous and communists were synonymous with sedition. Both groups stood in the way of their monopoly over land and power. In 1932, for six days, the military swept through the countryside exterminating the organized peasantry and lynching indigenous leaders, such as José Feliciano Ama. Dalton himself would later produce a seminal historical work that offered a broad and clear picture of the lives of the ordinary peasants and workers in Central America, their sufferings, their hopes and their struggles. His 565-page biography of Miguel Mármol (published in 1972), a prominent communist leader of the 1932 Salvadoran peasant uprising, described the growth and development of the workers’ movement and the Communist Party in El Salvador and Guatemala. This Latin American classic goes on to capture in vivid detail the brutality of the Maximiliano Hernandez Martinez military dictatorship (1931-1944). In 1932, Martinez oversaw La Matanza, the systematic massacre of 40,000 indigenous people and leftist organizers. Anyone who was indigenous or suspected of even being on a list as having voted for the Communist Party was executed. 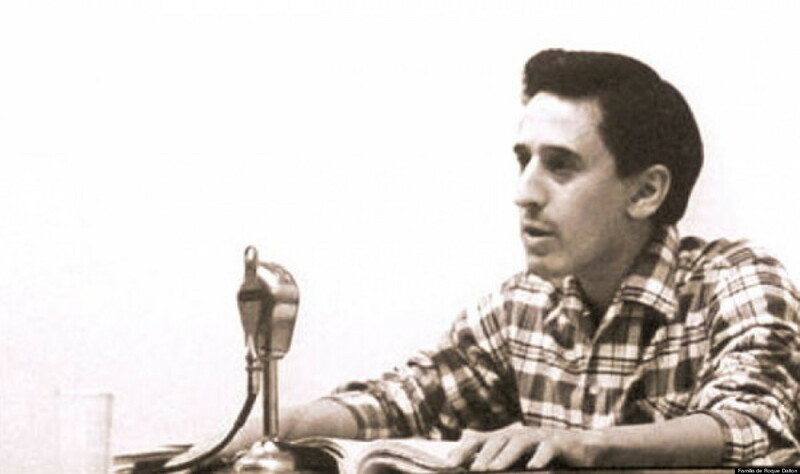 Miguel Marmol is still an important resource for students of El Salvadorian and socialist history to study today. Against the background of a profoundly unjust society, Roque graduated from Externado San José, an exclusive Jesuit school for boys in San Salvador. In 1953, his family sent him to Santiago, Chile, to study law in the Universidad de Chile. As a student, he attended lectures with the Mexicanartist Diego Rivera and established a close relationship with the leftist movement, leading him to develop an interest in socialism. When he returned to El Salvador, he was accepted by the Law School of the Universidad de El Salvador (UES), and in 1955 he and the Guatemalan poet Otto René Castillo founded Círculo Literario Universitario, which published some of Central America’s most recognized literary figures. Dalton’s heart shuddered like the volcano Tajumulco before the stark social inequalities that afflicted his homeland, where a mere 2% of the population owned 60% of the land and wealth. The infamous 14 families dominated the economic and political life of the country. In 1957, he formed part of a Salvadoran student delegation that visited the Soviet Union to participate in the International Youth Festival. Carlos Fonseca, the founder of the Sandinista Army for National Liberation, the Argentinian poet Juan Gelman and the Turkish poet Nazim Hikmet also participated. In 1959, the Cuban revolution shook Latin America and the world. Everything from the old society was called into question. The example of Cuba haunted the peace of the Latin American bourgeoisie, accomplices of imperialist plunder. Cuba functioned as an inspiration and launching pad for diverse literary and political movements. Dalton was invited by Casa de Las Américas to perform his poetry in La Havana, Cuba, at a conference for exiled leftist Latin American writers. Cuba —as liberated territory of the Americas—became a headquarters for Dalton and revolutionaries across the hemisphere. 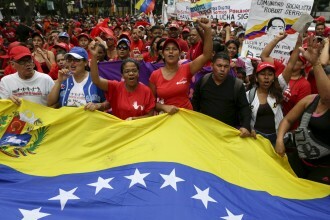 Roque formed part of “la generación comprometida” (the committed generation). Inspired by Cuba’s example, poets, writers and musicians rejected the idea of art for art’s sake and dedicated their talents to the struggle for a just, socialist society. 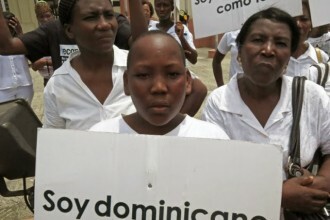 Expressing his identification with an entire society in tumult, Dalton wrote: “I have two homelands, Cuba and my own.” As a journalist. and poet, he employed emotion, sarcasm and imagination in works dealing with life, love, politics and death. Latin American revolutionaries faced death and permanent exile for daring to challenge massively unequal class societies. In 1959, back in his motherland, the military arrested Dalton, and a kangaroo court sentenced him to death by a firing squad. The day before his execution, the dictator, Colonel José María Lemus, was overthrown from the presidency, and because of this, Dalton’s life was spared. Once he was freed from prison, he traveled to Mexico in exile and wrote much of the material that appeared in his booksEl Turno del Ofendido and La Ventana en el Rostro (The Offended’s Turn and The Window in the Face). Dalton returned clandestinely to El Salvador in 1965. He was soon caught and taken prisoner. He awaited execution in Cojutepeque, but he was saved by an earthquake. In true poetic fashion, the earthquake caused the concrete walls of his prison cell to crumble to the ground. Racing to his freedom, he realized this was his third chance to live and make revolution. He redoubled his efforts to prosecute his revolutionary tasks. The underground movement again helped him escape to Cuba, which served as a launching pad for his departure for Prague as a correspondent for the International Review. While in Prague, he conducted interviews and did investigative journalism, informing the public about international news and events. He also wrote Taberna y otros lugares (Tavern and other places), which won the Casa de Las Américas literary award. Dalton represented a new type of Latin American writer, immersed in the everyday struggles of the silenced workers of the world. Holding himself up to the highest ethical standards as a communist, he wrote: “Politics are taken up at the risk of life, or else you don’t talk about it.” Roque knew he could not just be about revolution; he had to make revolution. Defining himself as more than an ideological and literary combatant, Dalton joined the armed struggle for El Salvador and Central America’s definitive national liberation. 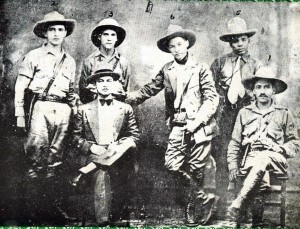 After receiving training in Cuba, he sought admission in the Salvadoran Marxist-Leninist, political-military organization FPL—Fuerzas Populares de Liberacion “Farabundo Martí” (Popular Liberation Forces “Farabundo Martí”). However, the organization’s leader, Commander “Marcial” (whose real name was Salvador Cayetano Carpio), objected to the idea, arguing that Roque’s role in the revolution was as a poet, and not as a foot-soldier. Undeterred, Dalton applied to join the ERP—Ejército Revolucionario del Pueblo (People’s Revolutionary Army). 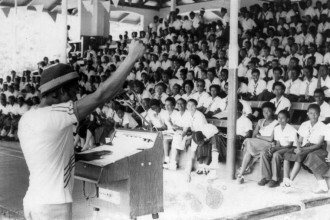 Roque Dalton’s military career also included cooperation with Guatemalan revolutionaries in creating the EGP—Ejército Guerrillero de los Pobres (Guerrilla Army of the Poor). As an internationalist, he saw no borders in the workers’ struggle. In 1975, Dalton returned to El Salvador to carry out work in the banned, underground movement. This was a difficult time for the revolutionary movement, and Dalton’s own organization, the ERP, was torn by a bitter factional fight. Dalton criticized the organization’s military adventurism and argued that the priority for the left was to build a mass base. Under circumstances that still remain obscure, he faced ultra-left allegations and was assassinated by members of a rival faction of the ERP. This group, whose most internationally known leader was Joaquín Villalobos (“Atilio”), allegedly condemned him to death on 10 May 1975, only four days before Roque was to turn 40. Roque was shot to death in a house in Santa Anita neighborhood in San Salvador city. The Uruguayan writer, Eduardo Galeano characterized the murder of Dalton as “unforgivable” in Children of the Days: A Calendar of Human History. but it causes many headaches. but only with the realization of paradise on earth. and they tear our heads off. In the struggle for the revolution the mind can act as a delay. Which does not make them scarce, quite the opposite. Be an aspirin the size of the sun.